As I wrote in "The Anioma Sound Pt. 1," the Anioma region comprises the Igbo-speaking areas of Delta State in Nigeria. The name is a actually an acronym derived from the regions of Aniocha, Ndokwa, Ika and Oshimili, and was coined by the late Dennis Chukude Osadebay, one of the founders of the National Council of Nigeria and the Cameroons, and former premier of the old Mid-Western Region of Nigeria. Continuing our look at the music of this area, we start off with a couple of old-timers of the Anioma scene, ending up with some newer artists. Ndokwa native Charles Iwuegbe may be familiar to those who have heard the wonderful compilation Azagas & Archibogs: The Sixties Sound of Lagos Highlife (Original Music OMCD 014, 1991), now sadly out of print. As that title implies, he was a stalwart of the pre-Biafra highlife scene in Lagos, when musicians of all ethnicities kept the night alive with their wildly inventive sounds. I give my thanks to Anioma music fanatic "Ubulujaja," who passes on this classic tune, "Ejelunor," from Iwuegbe's LP of the same name (Decca West Africa DWAPS 04), as well as Eddy Okonta's "Anioma" in "The Anioma Sound Pt. 1." I've saved the best for last! I've heard a rumor, which I've been unable to confirm, that Rogana Ottah (picture at the top of this post) passed away a couple of years ago. What a shame that would be, as he's been the primo exemplar of the Anioma music scene. As I wrote in the introduction to my discography of him, ". . . Guitarist Isaac Rogana Ottah, 'The Oshio Super King,' a prolific artist from Akoku, Ndokwa LGA, Delta State, is one of the better-known Anioma musicians. His musical career began in the early 1970s when he played in the bands of Chief Stephen Osita Osadebe and Rex Lawson. In 1973 he joined fellow Ndokwa native Charles Iwegbue and His Hino Sound Band. Striking out on his own after Iwegbue's tragic death in 1976, Ottah scored a major hit with his first LP, Ukwani Special, in 1977. In quick succession a series of outstanding recordings, notably the 'Oshio Super series, propelled Ottah to the vanguard of the Anioma recording scene. Although his career has slowed since the 1980s, he still makes a prosperous livelihood as a touring musician and continues to make recordings. " 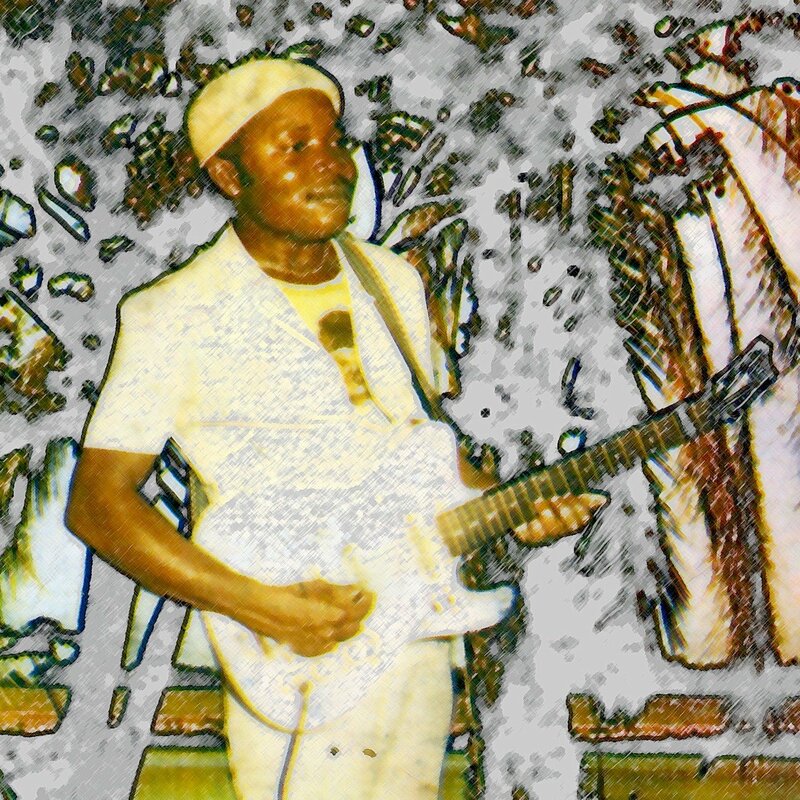 "Onyeluni Isu Ogaga," from the 1981 LP Oshio Super Two "Onyeloni" (Odec ODEC 003) is an absolute scorcher that showcases Ottah's brilliant guitar work to great effect. I hope to provide translations of the lyrics of these songs in the future.